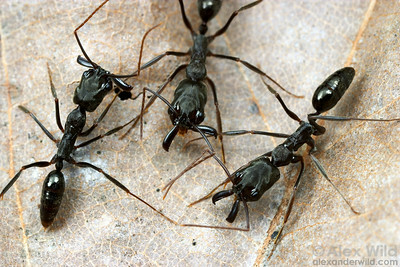 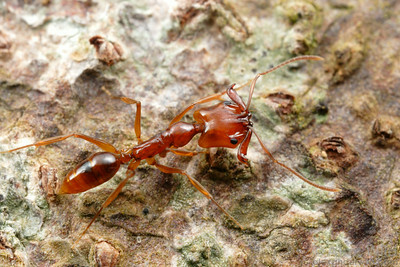 Several lineages of ants have independently evolved an effective predatory device: spring-loaded mandibles that snap shut on a hair trigger. 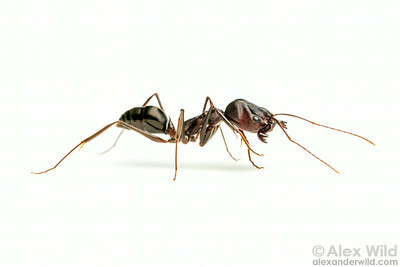 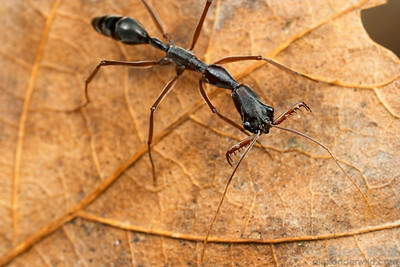 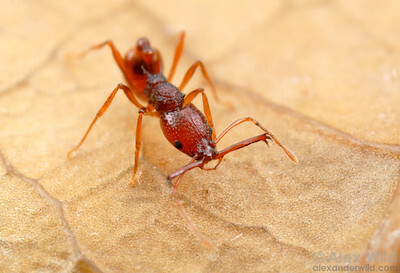 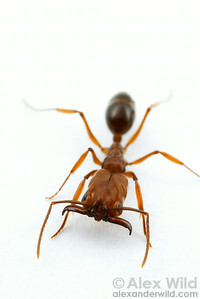 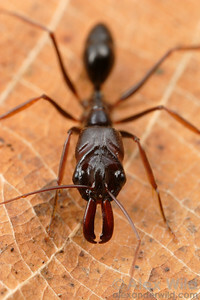 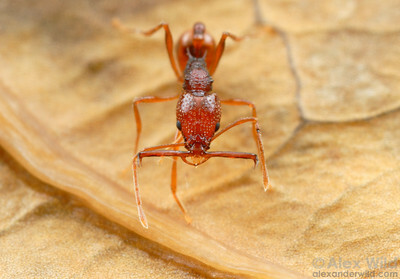 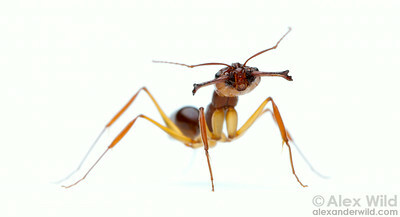 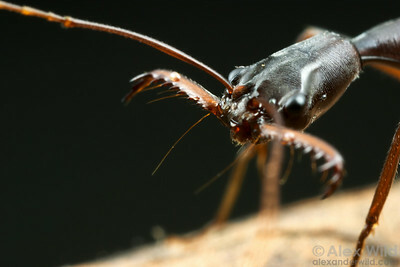 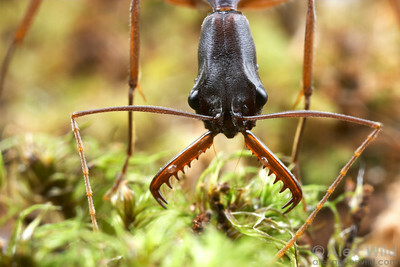 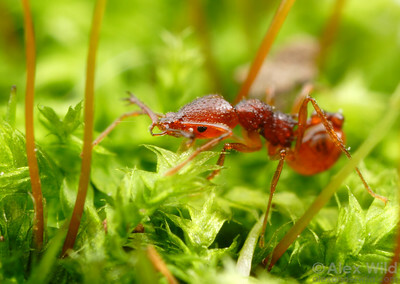 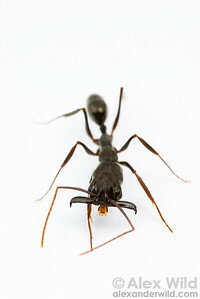 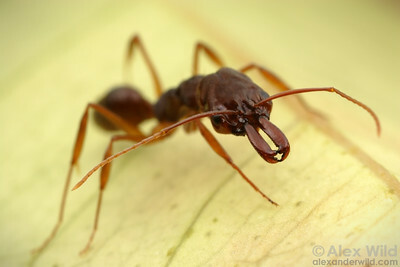 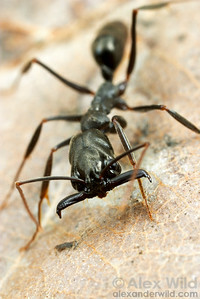 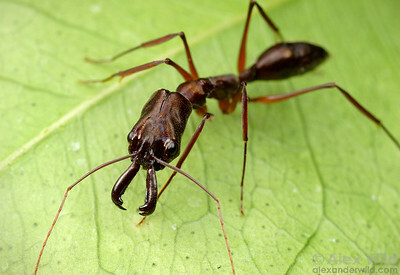 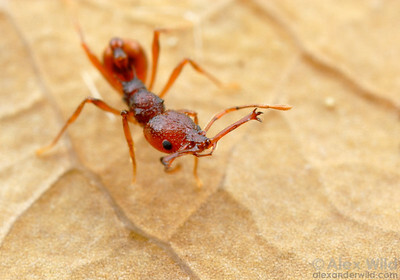 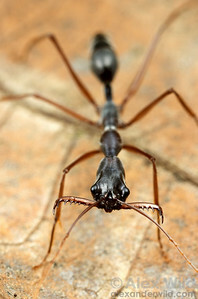 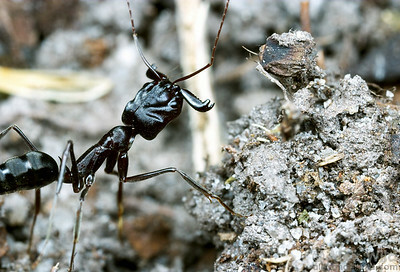 An Australian trap-jaw ant with her mandibles in an intermediate position. 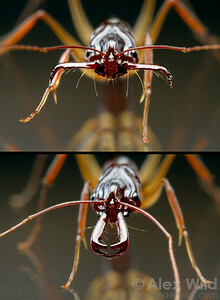 Queensland, Australia. 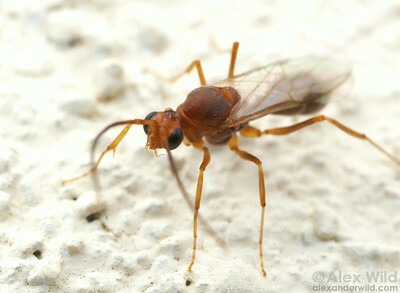 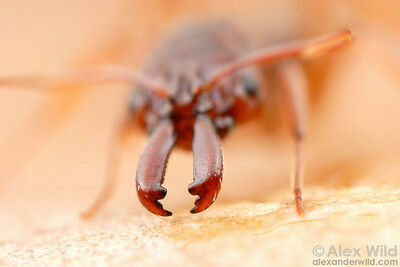 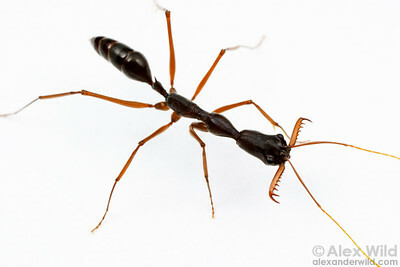 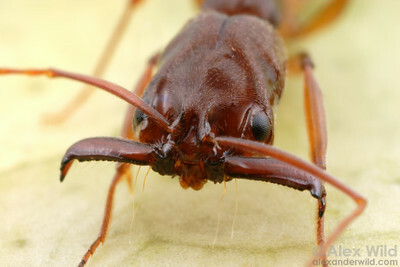 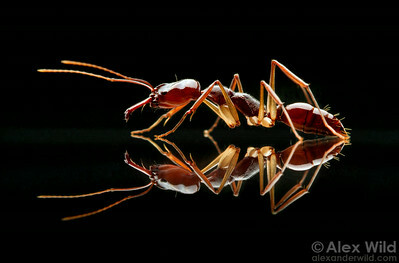 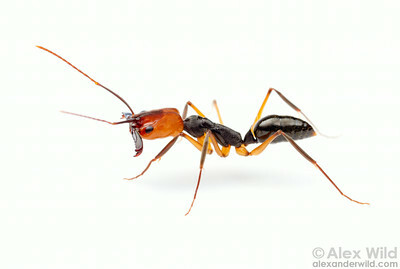 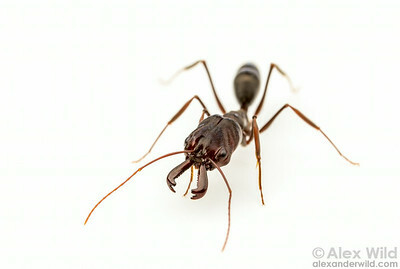 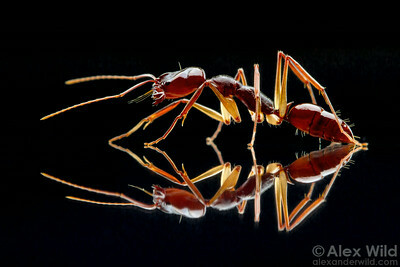 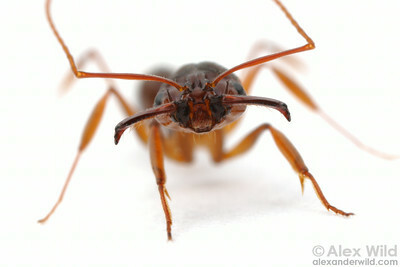 Portrait of an Australian trap-jaw ant. 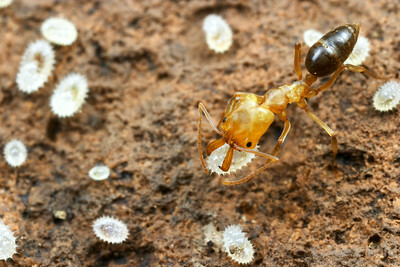 Queensland, Australia. 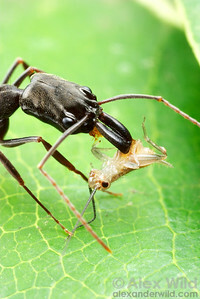 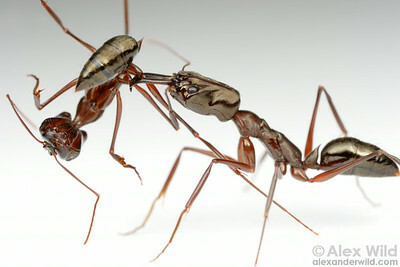 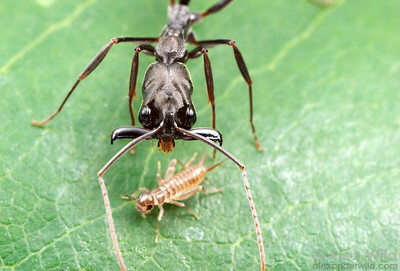 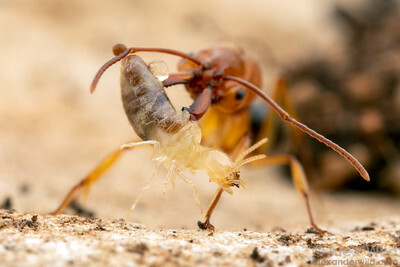 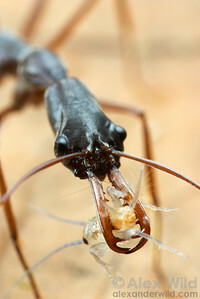 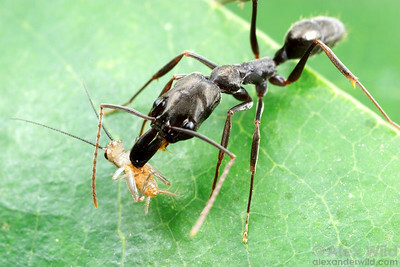 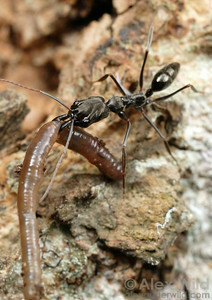 A Texan trap-jaw ant captures a subterranean termite. 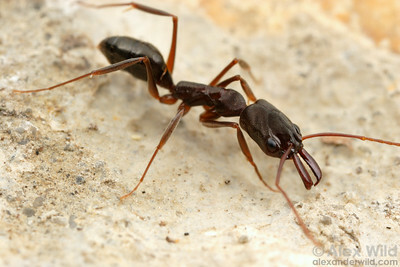 Brackenridge Field Lab, Austin, Texas, USA.